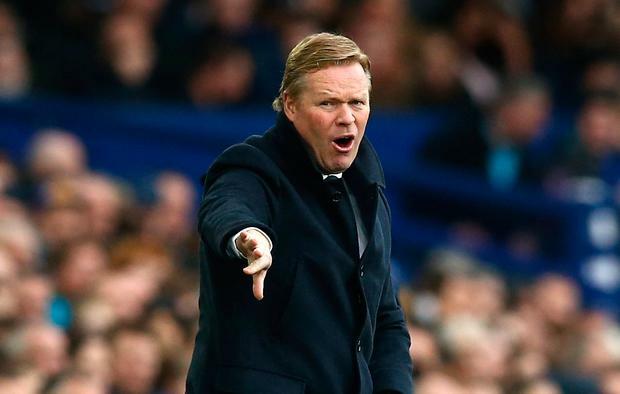 Martin O’Neill doesn’t appear to have a working relationship with Everton boss Ronald Koeman. Photo credit: Brian Lawless/PA Wire. After a weekend to recuperate, Martin O'Neill and an even more depleted Ireland squad will return to training at Abbotstown this morning. It would be a stretch to say that the dust will have settled on Friday night's bruising World Cup derby with Wales because the consequences will linger over the rest of the campaign with Seamus Coleman unavailable due to his double fracture. O'Neill will have to address the matter again in the course of his ruminations ahead of tomorrow evening's friendly with Iceland. On paper, Ireland sit in a good position in Group D, joint top with Serbia and four ahead of Austria and Wales. In the circumstances, a point on Friday night was a reasonable return but O'Neill is unlikely to reflect on the exercise with any real sense of satisfaction because of the problems it has created and highlighted for the road ahead. Seamus Coleman had grown into the role of captain; his elevation to the role has coincided with some of his best performances for Ireland. 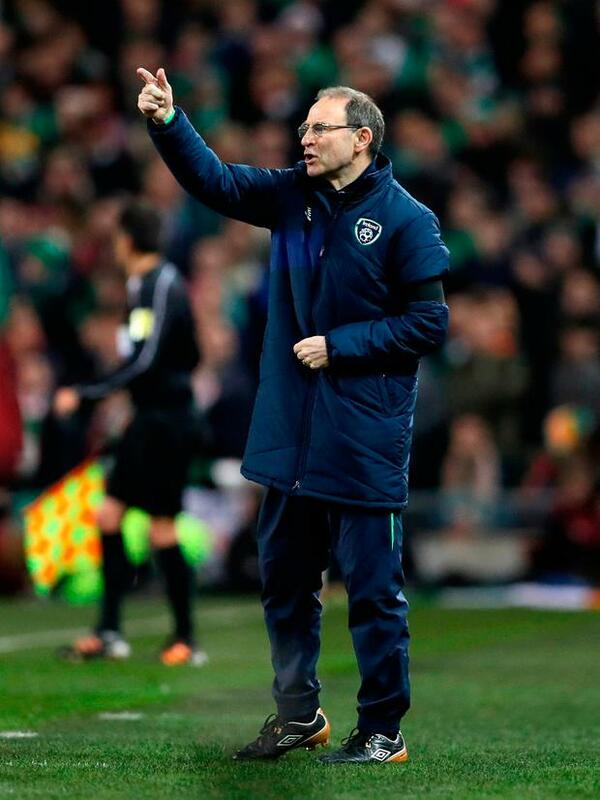 Therefore, the injury that rules him out for the remainder of the campaign presents a slight difficulty for O'Neill. John O'Shea and Glenn Whelan were the two most experienced starters on Saturday but neither are guaranteed to play when Ireland are at full strength in their respective positions. Ciaran Clark and Shane Duffy were preferred in the three games leading up to Christmas, while James McCarthy got the nod ahead of Whelan towards the end of the Euros. Ireland do have options in the centre of the park if McCarthy, Whelan, Harry Arter, Jeff Hendrick, Robbie Brady and Wes Hoolahan are all available. Granted, the importance of the captaincy can be exaggerated sometimes but it appeared to suit Coleman, an assured character well capable of dealing with any of the ceremony and additional press duties that go with it. Hendrick and Brady are two players that should start when fit but the silly suspensions they have incurred in this campaign suggest they have a bit of learning to do. A wiser James McClean is probably better off away from that limelight too. Automatic selection Jon Walters could be the short-term safe pair of hands, although he will not figure in the Iceland match. Cyrus Christie is a capable player who has generally performed quite well in an Ireland shirt. He showed cult hero potential with a spirited showing in the famous defeat of Germany. But the simple fact is that Ireland are losing one of the top right-backs in the Premier League and replacing him with a player that is yet to figure above Championship level. It is a downgrade, no matter what way you look at it. Christie is good going forward, and it showed against ten-man Wales, but he has a bit to prove going the other way at international level as his form has fluctuated during his time with Derby County. Full-back is an important position for Ireland, especially if O'Neill has any intention of returning to a diamond set-up in the middle. That will test the 24-year-old. He is the best man for the job with David Meyler an emergency option and Wolves' Matt Doherty the next in line even though he has played most of his recent club football on the left. Even Christie acknowledges it's less than ideal. "At this point of the season we need our big players and Seamus is one of them," he said on Friday. Think of the memorable Irish football moments of the past 12 months and Wes Hoolahan is a recurring theme; the finish against Sweden, the cross for Brady in Lille, the pass for McClean in Austria. He's 35 now and it's unrealistic to expect him to play for every minute when fit; it's clear that O'Neill is going to use him selectively - especially in double-headers. Nobody can say for sure that he would have started against the Welsh if fully fit, but his invention was missed as Ireland got pegged back a little too deep and struggled to retain possession and gain some ground. Jeff Hendrick was more advanced than Whelan and Meyler and appeared to be torn between two roles. Brady toiled in Serbia when Hoolahan was unavailable, another match where Ireland's general play was limited. The veteran schemer is the most accomplished link man between midfield and attack. He created Shane Long's only goal in this campaign. There is no obvious solution to this problem; Ireland don't have another player like him and need an injury-free run. When Wales were on the ropes in the dying stages on Friday, Aiden McGeady was the only sub that Martin O'Neill turned to. There were other options on the bench, but he clearly didn't feel it was the right time to pitch them into the fray. So it's either a lack of strength in depth, a lack of trust in the back-up options or a combination of both. Ireland have only played one friendly since the Euros, a non-event with Oman that was really a Robbie Keane tribute and an exercise to reunite the group ahead of a trip to Serbia. The run of games in the build-up to France was really about trimming down the squad - Shane Duffy benefited - but there was some minor experimentation. Ireland now have three friendlies in a row before the June date with Austria and the real benefit could be trialling new faces with a view to gaining confidence that they will be ready if Ireland are down bodies and in need of inspiration against Austria. Conor Hourihane and Daryl Horgan both pose an attacking threat at Championship level - the latter proved his quality against decent opposition in the Europa League - and they are obvious candidates to feature against Iceland tomorrow. Ronald Koeman and O'Neill really should be united in disgust at Coleman's woe although it's unlikely to enhance the Dutchman's love for the international game. Prior to that, we had James McCarthy pull out of the match after feeling pain in the warm-up. It would be a surprise if Koeman kept quiet on that given he had expressed reservations about the Glaswegian's involvement in the fixture in the first place. O'Neill admitted afterwards that he tried to speak to Koeman a couple of weeks ago but received no response from the Everton boss. There doesn't appear to be a working relationship there and, while the Coleman operation will require communication between the respective medical departments, one can assume that there's going to be more mileage in the squabble over McCarthy even though the Irish camp did eventually err on the side of caution and have sent the player back to Everton for assessment.